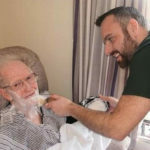 Lenny White, 35, is a mobile barber from Northern Ireland who has made it his mission to make a difference for the men living with dementia in his local area. 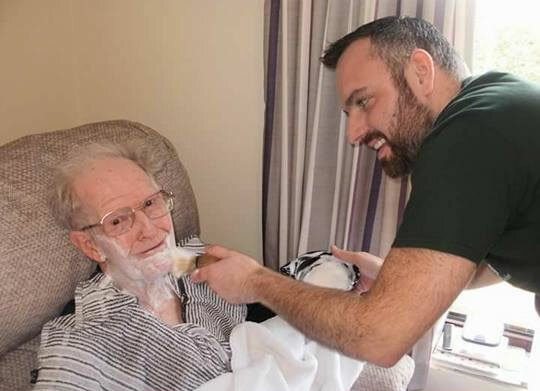 Nicknamed the ‘dementia-friendly barber’, Lenny bringing haircuts to the homes of those who aren’t able to get to their local barber shop. 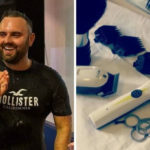 Whether it’s a care home, day centre, hospital or residential setting, Lenny recreates the traditional barber shop experience and helps restore some dignity to his customers. A big hit in Northern Ireland, he’s now setting his sights on the rest of the UK.